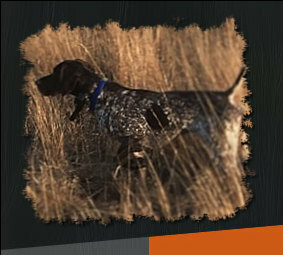 The name of this organization is the Heartland Chapter of the North American Versatile Hunting Dog Association (NAVHDA). a) Heartland Chapter is an authorized Chapter of NAVHDA, which is a non-profit organization. The Chapter is pledged to operate within the frame work of the By-Laws and policies of the parent organization. b) The Chapter shall not be conducted or operated for profit and no part of any profits, remainders or residue from the operations, dues or donations to the Chapter shall inure to the benefit of any member or individual. c) In the event of dissolution of the Chapter, any remaining assets shall be donated exclusively to NAVHDA international. a. Sponsoring field tests for the versatile breeds according to the rules of the Field Test Standards of NAVHDA. b. Conducting training clinics, demonstrations and similar activities as a resource to members and other persons interested in realizing the full potential of the versatile hunting dogs. c. Cooperating with other hunting dog clubs and hunting dog breed clubs that wish to run sanctioned field tests under the rules of NAVHDA. To remain on active status the Chapter is required to maintain a dues paying membership of not less than ten adult persons. a. Membership in the parent organization (NAVDHA) shall be a prerequisite to membership in Heartland Chapter. b. Spouses of active members and people under eighteen years of age (Junior Members) who are also members of NAVHDA shall be eligible for membership in Heartland Chapter. Spouses and Junior Members shall have all privileges and benefits of membership, except Junior Members do not have voting privileges. c. The Executive Council of Heartland Chapter may expel from the Chapter any member for good cause shown, such as violation of rules, unsportsmanlike conduct, or other actions that might bring discredit to the Chapter and NAVHDA. Prior to final action by the Executive Council, the person in question shall be given an opportunity to present their case to the Council. If the decision is to expel, no refund of dues will be made and recommendation will be made to NAVHDA that the parent organization also expel the individual. a. Membership dues will be established annually by the Chapter Executive Council and will be for a full calendar year. A reduced rate will be offered to spouses of active members and to Junior Members. b. Dues must be paid on or before the day of the Annual Meeting or membership is considered terminated. Dues paid after September 1 for incoming members shall be deemed adequate for the balance of the year in which they are paid and for the next succeeding year. The Executive Council of Heartland Chapter shall consist of the four elected officers; President, Vice President, Secretary, and Treasurer. The Executive Council shall also include the immediate Past President. The Director of Training, and a Director of Publications are to be appointed by the Executive Council. These two Directors shall have a vote in all executive business conducted by the Council. The Council will have the ability to appoint up to 3 additional voting directors without vote from the general body, if business dictates it. Additionally, if there are 2 members from the same household on the board, only the senior position holder will have a formal vote. Seniority is in the order listed below. In the event of a tie vote on the Council, the member at large with the longest continuous seniority in the chapter that is not on the board shall cast the tie breaking vote. a. President: The President is the chief executive of the Chapter. The President chairs Executive Council and general membership meetings, appoints ad hoc committees as required and, with the advice and consent of the Executive Council appoints persons to fill vacancies occurring within the Council. He also acts as the principle liaison officer between the Chapter and NAVHDA. b. Vice President: The Vice President assumes the office of President in the event of a vacancy, acts for the President during the temporary absence of the President and performs such other duties as may be assigned by the President. c. Secretary: The Secretary shall be responsible for Chapter correspondence, mailings, administrative records and reports, minutes of meetings and other administrative business of the Chapter. d. Treasurer: The Treasurer shall maintain the financial records of the Chapter receive and disburse monies and prepare financial statements. e. Past President: Provide advice and counsel to the Executive Council. Other duties or special projects as assigned by the President. f. Director of Training: The Director of Training shall be responsible for recommending to the Executive Council plans and ideas for training days, training clinics, demonstrations and similar activities and for overseeing the execution of approved plans and programs in this category. g. Director of Publication: The Director of Publication is responsible for the preparation of Chapter newsletters and narrative reports of Chapter events for other publications. They are also responsible for providing current information to the webmaster for publication to the chapter website. Election of officers shall be held biannually. The President and Secretary will be elected on the even numbered years, and the Vice-President and Treasurer will be elected on the odd numbered years. The term of Office shall be two (2) years. Newly elected officers shall be installed immediately following the election. a. Nominees must have been a member of Heartland Chapter for a minimum of one year at the time of nomination and must have reached their twenty-first birthday. c. The Nominating Committee shall present a slate of candidates for each office up for election no later than January 1.
d. Any member in good standing, who has been an adult member of the Chapter for a minimum of one year, may nominate another. e. In addition, any member who is nominated in accordance with Article IV, Section 3. Part d., for an office must be seconded by another members and the nominee must accept the nomination. a. Elections and amendments and changes to the By-laws will be conducted by a method selected by the Executive Council. b. A simple majority shall determine the successful candidate in each case. In the event of a tie vote, the candidate who has been a member of the Chapter for the longest period shall be declared the winner. c. Ballots, if used, will be kept on file for a period of one year following the election. a. Article VII, Section 3 of the NAVHDA By-Laws (Revised 1977) provides for attendance of a Chapter delegate at the annual meeting of NAVHDA, with voting privileges on all executive business conducted at the meeting. b. When deemed advisable and feasible, the Executive Council of Heartland Chapter will select a member of the Chapter to attend. This delegate shall be in addition to any member who might also be serving on the NAVHDA Executive Council. Field Tests conducted by Heartland Chapter shall be conducted with prior NAVHDA sanction and in accordance with the NAVHDA test rules then pertaining. Awards for the Natural Ability and Utility Preparatory and Utility Tests will be limited to simple awards, every dog qualifying will receive the same award, and no other trophies other than those mentioned will be awarded. No monetary awards will be given at any test. Entry fees for field tests sponsored by the Chapter will be established by the Executive Council for each test. Motions for consideration by the Executive Council shall be presented to the secretary in the form of a typed document, no hand written motions will be accepted. Any adult member may make a motion at any time. Motions before the Executive Council will be decided by a simple majority. Amendments to the By-Laws shall be voted upon as heretofore set forth for motions provided, however, that it shall require two-thirds majority of the membership voting to pass a By-Law amendment. a. The Executive Council shall meet at the call of the President. b. The Chapter shall conduct an Annual General Membership Meeting open to all members. The meeting will be held in February if possible. c. To the extent practicable, meetings will be conducted according to Robert's Rules of Order. a. Any bank account established with Heartland Chapter funds requires the prior approval of the Executive Council. b. The Chapter bank account shall have two (2) authorized signers. One will be the Treasurer and the second signer shall be a designated member of the Executive Council. Either signer may authorize disbursement of chapter funds. c. Should the unencumbered balance of the Chapter Treasury exceed an amount estimated by the Executive Council to be sufficient for the next year's budgetary requirements; the Executive Council may transfer the excess to a savings account. Withdrawals from savings accounts shall require approval of the Executive Council in each case. liability insurance policy in the amount deemed necessary by the Executive Council.